Skip ahead to the individual sections. Converse are best worn when mixed and matched, am I right? 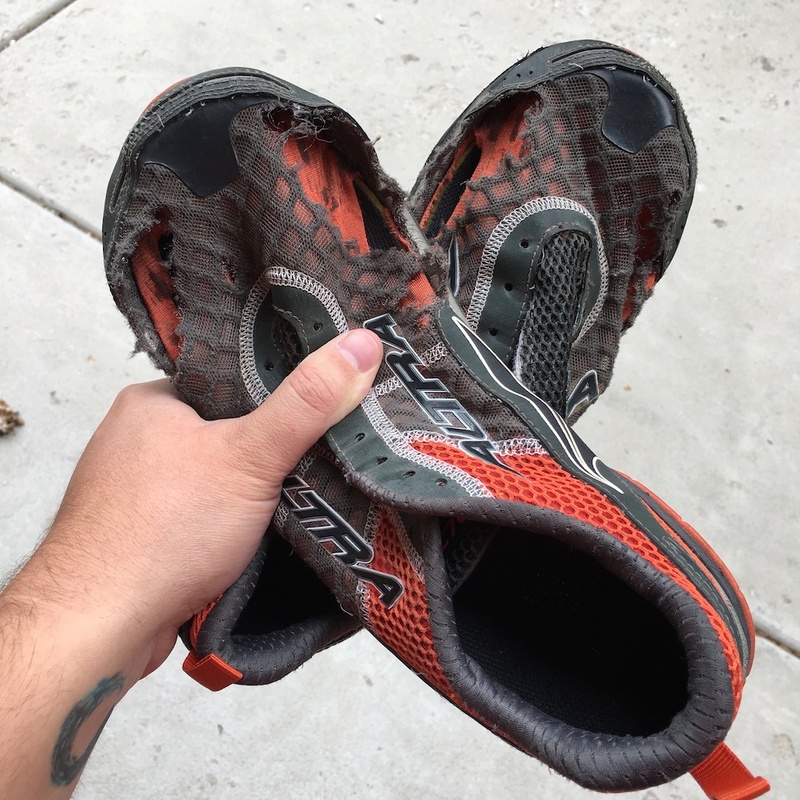 This was nearing the end of the Altra’s life, having served me for multiple 5K races, walks, hikes, travels, and more. Before wearing wide toe box shoes, my toes had started bending inward like a triangle. I blame my work dress shoes first, and then my beloved Converse with their narrow toe boxes. 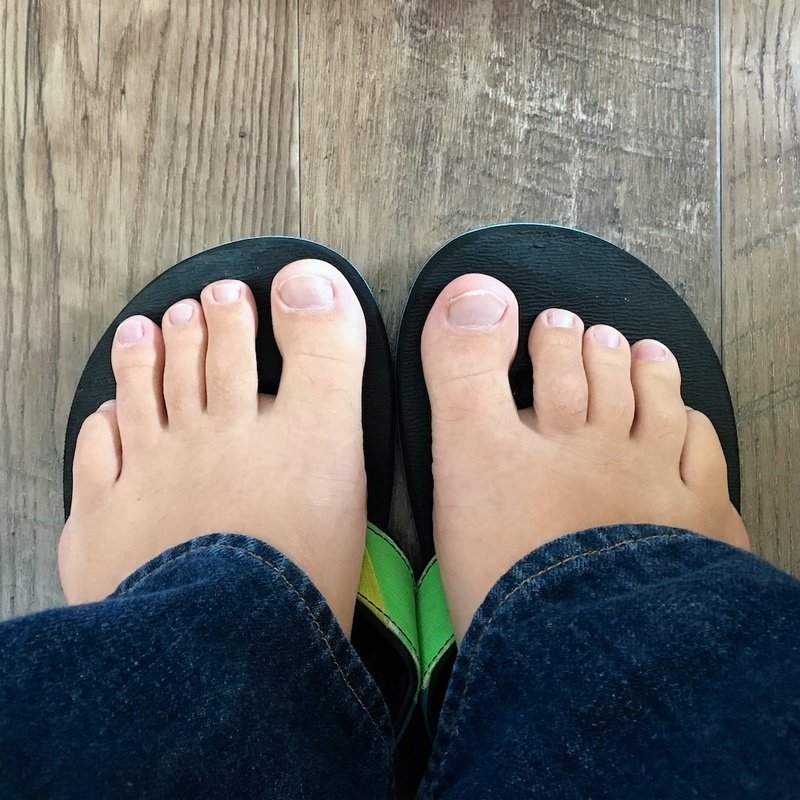 My pinky toes over the past few years had also started to feel numb on and off, they were being squished under the next toe in line. Ugh. Something had to be done. That’s when the Altra shoes really started to shine. The more I wore those, the better my feet began to feel, and the less numb my toes became. They were on to something. Let’s fast forward a bit. A few weeks ago, I realized my Atra Instict shoes were nearing the end of their life, and it was time to buy a new pair. Naturally, the Altras appealed to the part of me that likes familiarity. They fit and feel amazing. 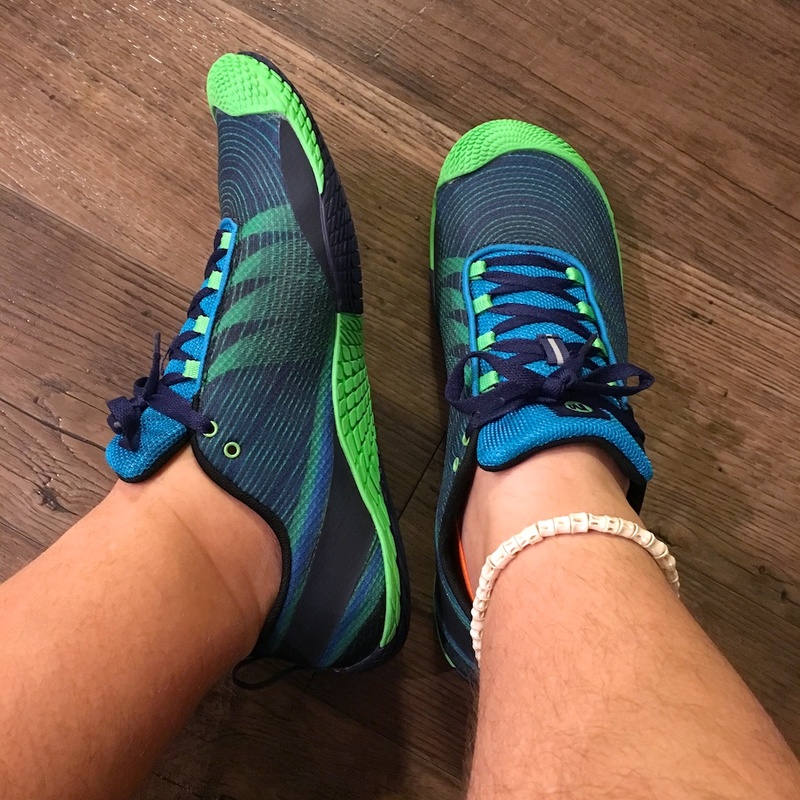 However, having worn various zero-drop and minimal shoes over the years, and having already tried Altra shoes, I decided to try something different this time around. That’s where this article comes in. I kept notes on all the places I found the shoes I like so I wouldn’t need to keep looking things up. Yay for foot pictures. Or not. After a while of wide toe box shoes, your feet too can be worthy of foot modeling. As you can see, I wore these until they couldn’t be worn anymore. In March, I ordered and tried on at least 18 different pairs of zero-drop and minimalist shoes. I didn’t plan on writing an article about it, but after a chat with my friend, I decided this information as I’ve compiled it may be helpful for others. It took me a long time to find companies who sold the types of shoes I was looking for. So here it is. Know that I was not provided any of these shoes for free, nor did I buy them with the intention of reviewing or recommending any of them. Another quick note: This article is not about extolling the virtues of barefoot and minimalistic running and the like. I happen to like them, and so do my feet, so I wear them. If you want to learn more about the virtues and vices of these types of shoes, there are countless pro and con articles on-line that you can search for and read. One caveat: if you are new to zero-drop and minimalist shoes, take your time transitioning, or you risk injuring your feet and legs. 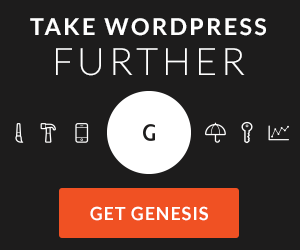 Some of these sites give instructions on how to transition into their shoes. These lists are of shoe company websites where you can find wide, zero-drop, and minimalist shoes. Not all shoes on these sites fit every criteria, so you may have to poke around to find the different models that do. Also, it’s helpful to read reviews for the different shoes on both Amazon and Google. I’ve left comments on quite a few of the list items, but not on all of them, only because it starts to get redundant. There are some companies that offer zero-drop shoes that are not listed here. I may not know about them, so feel free to add them to the comment section below. 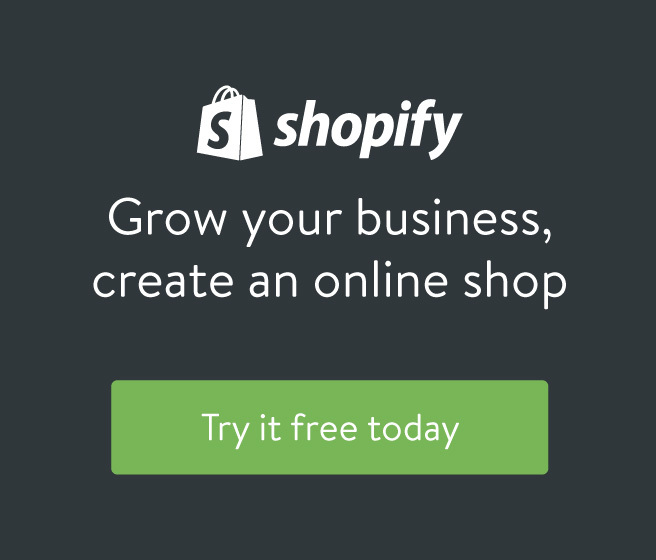 Most of the companies listed here offer free shipping and returns (Known exceptions: Lems & Xero). That’s a big bonus in my book when ordering minimalist shoes online. Toe boxes are a funny thing. To be classified as wide, they just have to be wider than your average triangle-toed shoe. Look for a shoe that allows your big toes to splay without feeling either side of the shoe pressing them in together. If you’re looking to re-train your toes to have a more natural splay, give Correct Toes a shot. Most of these shoes will have room for them, but don’t assume that’s the case. Altra – Some of the all-time best. I love them. Anthony Alan – Dress shoes! Woohoo! Body Glove – Medium-wide toe boxes here, unless you get the three-toadtoed shoes. Those are more akin to Vibram Fivefingers. Chronology – Men’s dress shoes only. Feelmax – Nifty looking shoes here. Gost Barefoots – These are made of chain mail. Yes, chain mail. Kuru Footwear – These shoes have wide toe boxes, but the lowest drop they have are the Quantum and Carrera styles at 8 mm. The rest have 12 mm drops. Eight millimeters is a medium drop, so if you want to transition extra-slowly, those two models could be an intermediary shoe. Lems – These shoes come highly recommended by a lot of podiatrists and toe spacer wearers. The toe boxes are nice and wide while still looking phat. The Primal 2 series have a short height above the ball of the foot, but the length seemed fine. It sounds like from the reviews that other models don’t have that midsole height issue. I wear 10.5 in US mens, and I ordered a size 44, which other than the height, fit perfectly. The insoles on these have a slight texture that give your feet a little massage. Merrell – Large variety of shoes here, with a subset of minimalist shoes (M Connect Series). The Vapor Glove, Trail Glove, and Bare Access lines have the wider toe boxes. The Trail Glove and Bare Access ones are slightly more snug, but still leave ample room. I love the Vapor Glove 2 shoes, and would wear those in the gym, except my big toe’s nail kept catching on the rubber wrap-around sole on top. The Trail Gloves were too narrow everywhere except the toe box. So while all three work, my personal all-around pick is the Bare Access 4. I use those for gym activities where I need a little more sole, like spinning. NoBull – The toe boxes on these are slightly larger than average, but slightly under what I consider just right. These have a 4 mm heel-to-toe drop, so while not exactly a minimal shoe, these are a great pick for transitioning. Olukai – Light weight with a crazy nice insole. Sizes seem to run about 1/2 a size large. I wear a 10.5 shoe, but a 10 in these. Not zero-drop by default (see next list). I am particularly fond of the Nohea Moku and Nohea Mesh models. I wear the Nohea mesh with Correct Toes. Primal Evo – This company makes the TadeEvo shoe. 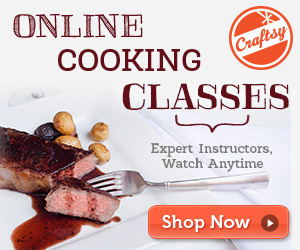 I haven’t tried these ones on yet, but they’re on my wishlist. Softstar – All of them have a wide toe box, but the turned shoes (seam on the inside) have the widest toe splay capacity. Check the Dash RunAMoc and Original RunAMoc models for starters. Sense of Motion – Their models turn over and are not always remade. If it’s there one month, it may not be there the next. 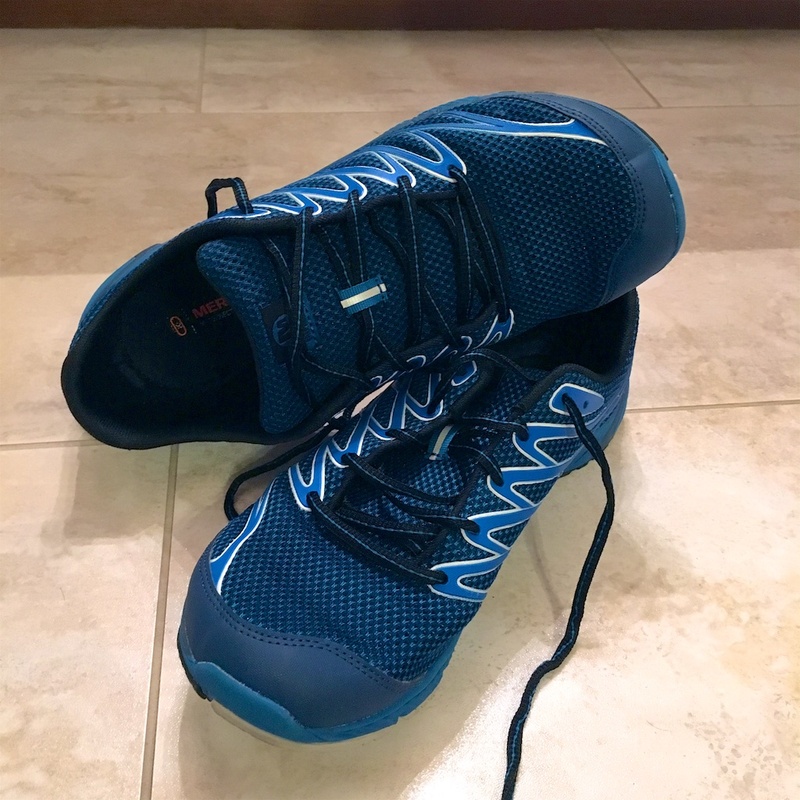 Skora Running – I like these shoes, but they always seem to be out of stock. Bummer. Sockwa – Perfect for the beach? 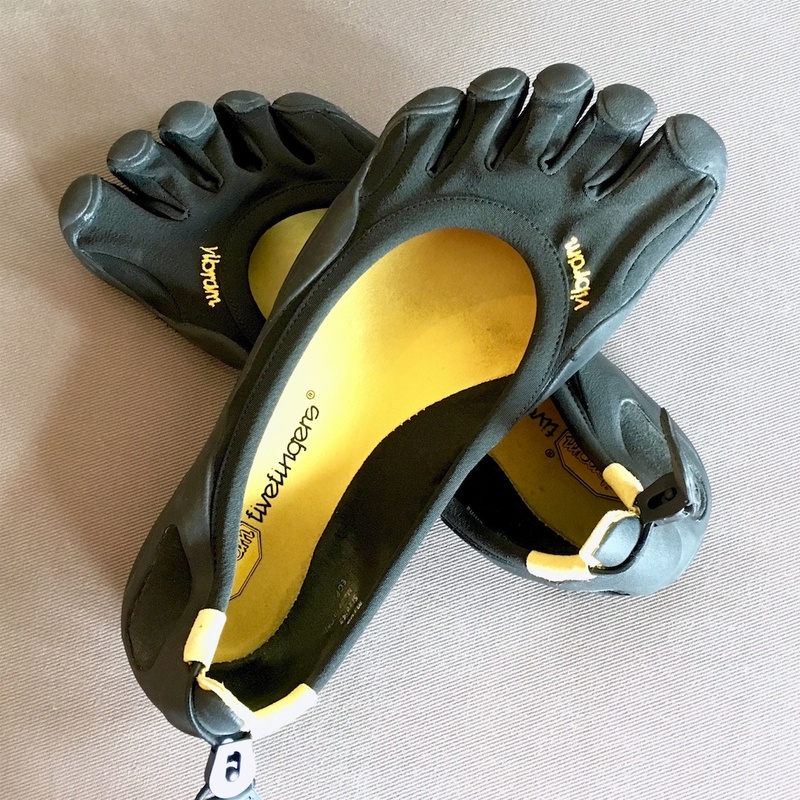 Vibram – Yeah, those funky looking toe shoes called Fivefingers. The KSO EVO and Classics are a good place to start. They also have a wrap-around Furoshiki shoe (another wishlist item). My foot is exactly 10.5 inches, and I wear size 43. 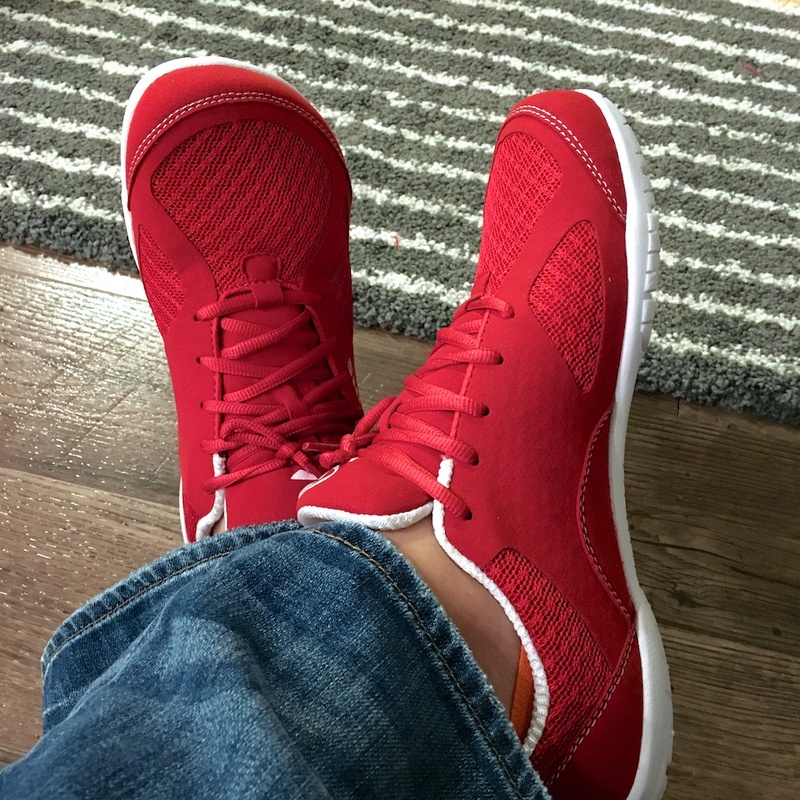 Xero Shoes – Really awesome shoes, and wish I could wear them. Their 10.5 is too small for me and their 11 is too large. My foot measures at exactly 10.5 inches. Fantastic customer service. Zem Gear – Some models have split toe boxes like ninja shoes, but for minimalists. When a shoe is labeled as zero-drop or 0 mm heel-to-toe, it means that your heel and forefoot are at the same distance from the ground. Some of them are completely flat without arch support, while others have big arches. The trend seems to be having minimal arch support. The shoe could have a foot of padding (pun intended) and still be classified as zero-drop. shoes labeled zero-drop are not always minimalist shoes. Altra Running – If you’re transitioning into zero-drop or minimalist shoes, Altra shoes are a great way to start. They have enough padding that it makes for an easier transition. The zero-drop can still get you though if you’re not being careful. Don’t slip them on for the first time and run a marathon. Anthony Alan – They don’t look like zero-drop, but they are. High five for a fake heel. Body Glove – While marketed as water shoes, you can also wear them for other activities. Chronology – They look like they have a heel, but they don’t. That’s part of the magic. Feelmax – International company, but worth looking into none-the-less. Whoever runs their design department has sweet taste. These have about as little a sole as you can get. Gost Barefoots – You’re walking in chain mail. If Chuck Norris were a knight, he’d wear these. Luongo – The toe boxes can be a little tight, but you can stretch them out by putting something wide in them and leaving them for a couple days. Merrell – The Vapor Glove 2, Trail Glove 3, and Bare Access 4 are all a 0 mm drop. Having used the Bare Access 4, for a while I can say with confidence that they’re a fantastic shoe. Olukai – By default not a zero-drop; however, you can remove the insole (it’s not glued in) and replace it with a zero-drop insole. That’s what I did. I wear these all the time. Zero-drop, wide toe box, different. That’s what I like. Sockwa – It’s a shoe sock. Softstar – All of their shoes are zero-drop. Vibram – As you walk, your feet kiss the ground—with purpose. ooxxooXoXXx. Vivo Barefoot – There are only about 3 mm between the ground and your feet with these shoes. Again, I love them. (Referral Link.) These come with an extra insole for a wee bit more cushioning if you need it. Xero Shoes – It’s all in the name. Great shoes, and great company. From my experience, the word minimalist is a mixed bag. I use it here for shoes that have small soles and not a whole lot on top. They’re generally light-weight without a lot of extra padding. Feelmax – Claim to be the only real barefoot footwear on the market. Whatever that means. Merrell – The Vapor Glove 2 fits this category. Light, comfortable, and barely there. Xero Shoes – I tried on two different pairs, and the padding on one was a little too much just behind the heel, while on the other it was perfect. I use the term ultra-minimalist to represent the bare bones. The slimmest of the slim. The reduct of the reduction. You might as well have hobbit feet if you’re wearing these. These companies know about trimming it down and all have at least one model that fits this criteria. Luongo – These are like robust pantyhose, but only for your feet. Vibram – Some models are a little more bulky, but all in all you can find something here for all occasions. They all take some time to break in, so be prepared for that. You can’t just start wearing these cold turkey. Here’s a tip: wear them a little bit, then toss them in the washing machine on a gentle cycle. They’ll soften right up. Sometimes you need a sandal, and not a shoe. These companies sell zero-drop, minimalist sandals. Most of them have wide toe areas. I’ve heard rave reviews for both the Shamma and Xero sandals. If you’ve made it all the way down here, we could likely be friends. I like this shoe style. 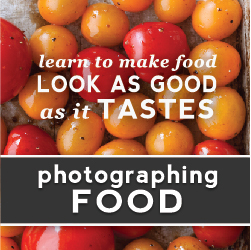 It’s not for everyone, but it is worth giving it a shot if you’re even remotely curious. Make sure to ease into them so you don’t strain your foot in ways that you shouldn’t, especially if you’re running and exercising in them. At the very least, try a wide toe box shoe and see what a difference that makes. Your toes feel free! 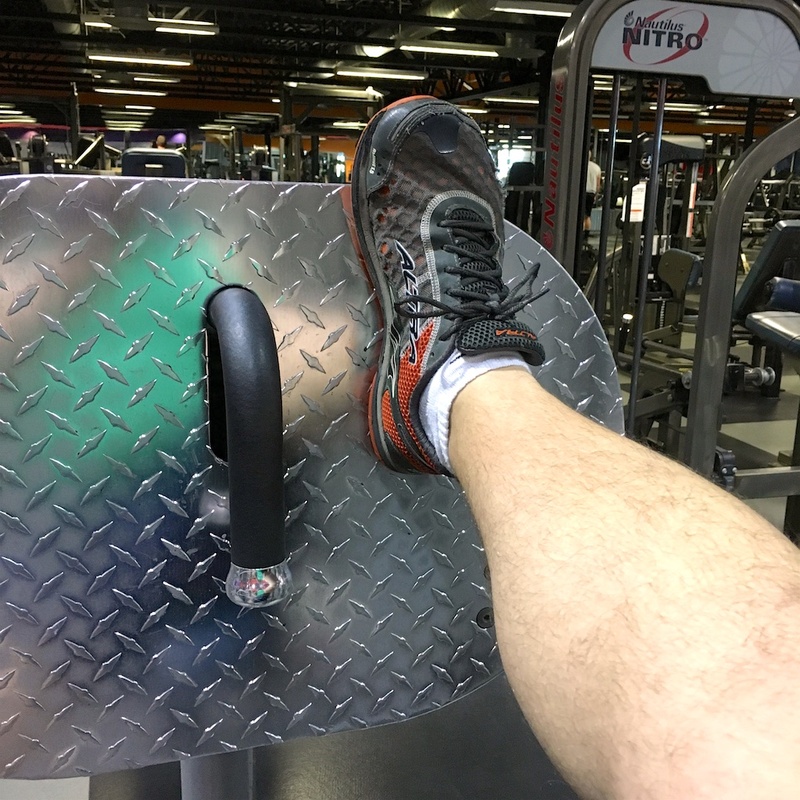 I’m not a runner (I hate it with the passion of a thousand flaming suns), so I use minimalist shoes mostly for walking around, wearing to the office, weight lifting, thinking, and drinking water. So yeah, pretty much everything except running, because running. You know what I mean, right? Hopefully you found this list helpful. Enjoy your new shoes. This is a great list and very helpful for me while I review an option to replace my Lem’s Primal2. They’re great shoes but I’m just looking for a change…the TadeEvo caught my attention but I’m leaning toward your recommendation of the Vivobarefoot. Thanks! I have a couple different pairs of the VivoBarefoot shoes. I absolutely love them. Hey Steve, I’d start out with a pair of Altra shoes, maybe the Instinct line. They still have some decent padding, and make for one of the best transitioning shoes you can buy. (Assuming you can wear non dress shoes to work.) After that, maybe move into the Lem’s shoes (Primal 2). The Lem’s have a short height just above the ball of your foot, so they may not fit quite right, but they’re fantastic if they do. Another possible transition shoe would be the VivoBarefoot Primus Trail SG line. While they don’t have a lot of padding, they do have some decent depth in the sole, which makes it feel not quite as minimalist as others, while still being more minimalist than most. Awesome post!! Found it googling “compare wide minimalist shoes”. The only thing that would make your post even better is a listing of the toe box widths of the shoes you own (“wide” is so subjective especially to my female 11 cn toebox). Either way I’m going to link your post to a minimalist Facebook group that frequently discusses this issue. Thanks again! As a beginning minimalist shoe wearer I found some interesting brands on your list that I didn’t yet know about. Awesome! Thanks for the additional links! Hey thanks for the article! 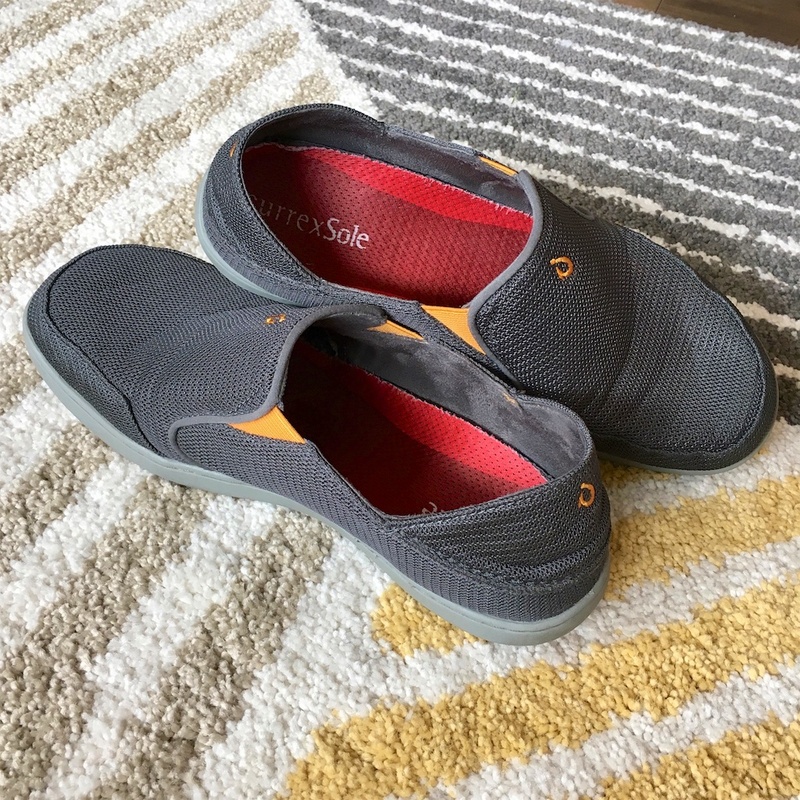 I have a couple of questions: What are the insoles you use with your Olukai and does it change how comfortable these shoes are (I love mine!!!). Also, any idea what the heel to toe drop is on the Olukai? I’ve used different insoles and actually prefer the insoles from Vivobarefoot with them. A lot of insole packages allow you to open and try them out before buying. The biggest trick is finding one that’s wide enough by the heel. It seems lots of insoles are too narrow there. If you really like the Olukai insoles (and they’re some of the best out there, if you’re not used to minimalist shoes), then switching to any other insole will likely leave you disappointed. If you’re already used to minimalist, then try switching the insole. I’m not sure what the heel-to-toe drop is with Olukai’s regular insole; I’d guess around 8-10 mm. Without the insole, it’s zero-drop from what I’ve been able to measure. I couldn’t where Olukai shoes with their regular insole. It was too plush for me. I bought a pair of Altra superior 3 zero drop and wide toe box shoes and love them. I then bought a lems primal 2, which have much less support & lower stack height & different design, and my feet don’t do well with them. Do you think there is an insole I can use in the Lems that might help me transition into them better? Thanks! Hi Nick, I haven’t found insoles that really work well with wide toe box shoes. The Lem’s in particular seem to be tight in the middle of the foot, so I’m not sure an insole would work well in them. After going through about a dozen insoles, the only insoles I have found that seem to work are the ones from Dr. Scholl’s linked below. They’re not the best insoles ever, but they’re pretty good.